NEW YORK OFFICE COFFEE SERVICE COMPANIES! 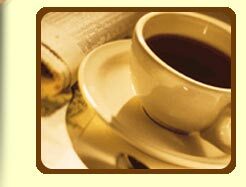 Office Coffee Break Refreshment Service Suppliers for your breakrooms throughout New York state. Please contact these OCS Companies directly for more information on the coffee delivery service & coffee products they provide. Listed alphabetically by company name. ABC Office Essentials – Office Coffee Service, Coffee Break Service and coffee supplies. Servicing New Jersey & New York. Call today for new coffee service tomorrow- 212-532-7771! Breaktime Vending serving the 5 buroughs over 40 years! With an array of references. Not idle promises. Machines have latest technology and reliability. Featuring a full line of High Quality; Hot and Cold Foods, ice cream, healthy snacks, juices and kosher products, Coffee, Water and more. CDC Distribution Coverage -Our uniformed personnel deliver to offices and restaurants throughout the New York tri-state area. This delivery area includes Long Island, Manhattan, Brooklyn, Queens, Bronx, Staten Island, Westchester, parts of Connecticut, and most of New Jersey. Next day service and delivery are available throughout most of our territory. We have warehouse locations in Garden City Park, NY and in Union, NJ. Please contact our sales team to find out how we can accommodate your refreshment needs. CV Food & Coffee – Coffee Service and Food Vending machine services for North Syracuse, New York. E&W Vending is the leading quality Vendor for Vending Machines: Office Coffee Service, Soda, Food, Snack and Office Coffee Product and Office Coffee Service Supplies, Vending machine Repairs, servicing Long Island New York businesses, with over 20 years experience. Corporate Refreshment Service for ALL your amenities, service, ideal fresh brew office coffee service and also vending equipment needs. Free Next Day Delivery! Based out of Brooklyn, New York. KNH Markets – Micro Markets & Healthy Vending Solutions – Offering a large variety of healthy, nutritious products in an affordable, efficient manner. Special design solutions for your miro markets. We understand those needs and strive for a wide selection of healthier types of products. Serving New Jersey and New York City areas. Koffee King – Office Coffee services for your place of business in Syracuse, New York. 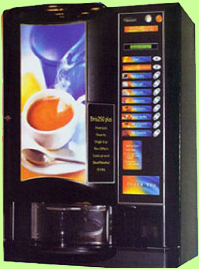 A VBS Vending Service– -We will bring vending machines to your office, business or warehouse. With quality Snacks, Candy and Food products, Breakroom refreshments that your employees will love! Coffee Vending Machines are now available! Call us first –Contact Michael Tyson today at 718-288-8299. Wayne Vending & Office Coffee Services – Provides coffee and coffee equipment for offices, restaurants, industrial and educational facilities, New Jersey and New York.